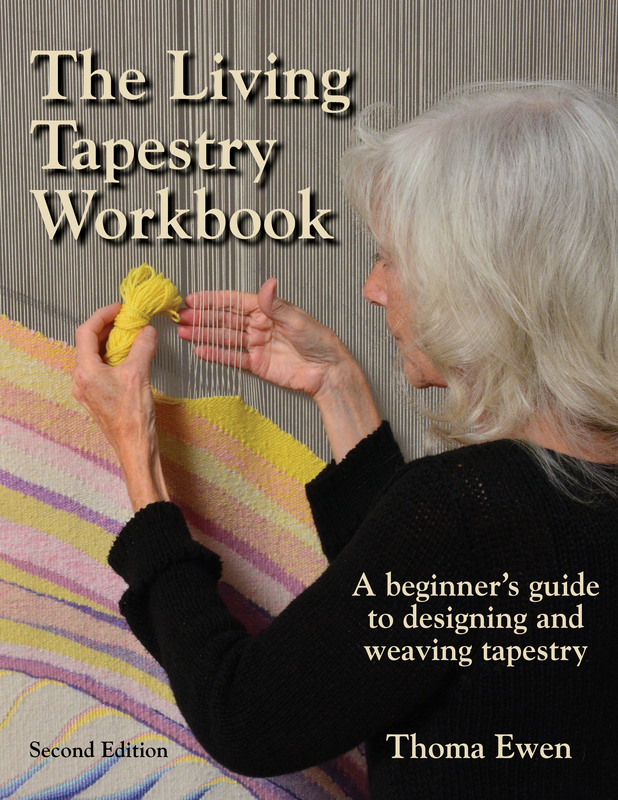 The Living Tapestry Workbook is an introductory guide to designing and weaving tapestry. Its step-by-step instructions simplify tapestry weaving, making it accessible and easy to do. The workbook covers all the basics needed to get started and serves as a companion to further creative explorations in tapestry weaving. This edition beautifully illustrates in full colour the complete tapestry process from initial sketch to finished woven tapestry, and clearly demonstrates all the steps from warping the frame loom to taking the tapestry off the loom. 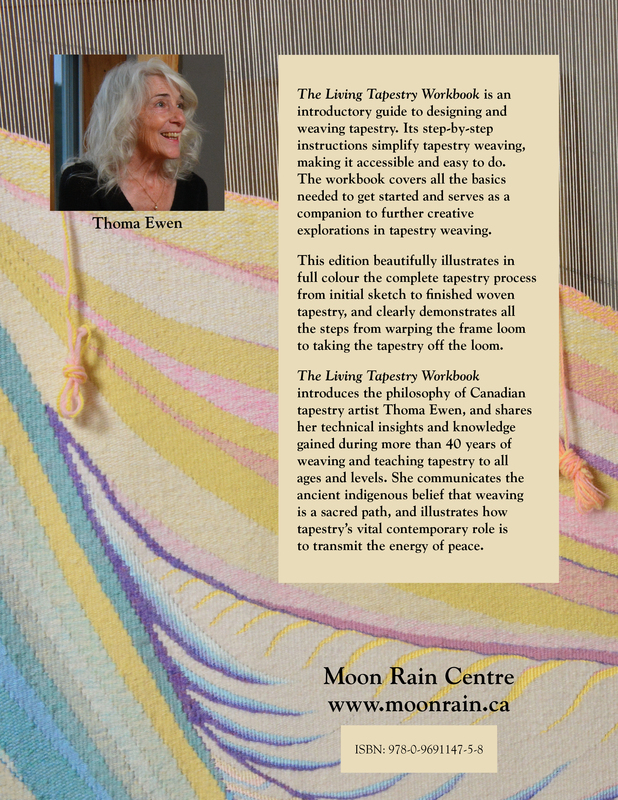 The Living Tapestry Workbook introduces the philosophy of Canadian tapestry artist Thoma Ewen, and shares her technical insights and knowledge gained during more than 40 years of weaving and teaching tapestry to all ages and levels. She communicates the ancient indigenous belief that weaving is a sacred path, and illustrates how tapestry’s vital contemporary role is to transmit the energy of peace. “So many texts on tapestry focus on the mechanics of weaving alone and don't give voice to enhancing other skills in support of cultivated woven expression; yours does. The Living Tapestry Workbook is $45.00 (CDN) at Moon Rain Centre.